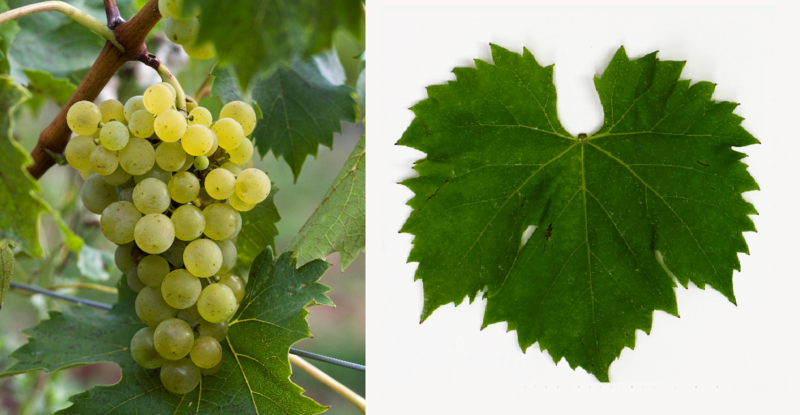 The white grape variety is a new breed between Bacchus x Seyve-Villard 12-375 ( Villard Blanc ). Incidentally, the same parents are also the two new breeds Phoenix and Sirius emerged. They are genes of Vitis berlandieri. Vitis rupestris and Vitis vinifera contain. The intersection of hybrid took place in 1964 by Dr. med. Gerhardt Alleweldt (1927-2005) at the Institute of Vine Breeding Geilweilerhof in Siebeldingen-Palatinate. The name was given to the German nobility Hohenstaufen (the first intended name Silva was rejected because of confusion with the Silvaner). The variety protection was granted in 1994. The variety is resistant to both mildews, It yields greenish yellow, fruity tasting white wines. In 2010, the vineyard area in Germany was only one hectare. This page was last modified at 31 December 2018 at 08:56.